Site Maps – Search engines need to crawl or ‘see’ your pages in order to index them. If the search engines can’t do that, your info won’t be listed on search pages. The best thing to do is create a site map so that the search engines can easily crawl and index your website. Avoid Duplicate Content – You’ve heard it before and it’s true. To be sure, check any content you put on your website with Copyscape.com or Grammarly.com or another plagiarism checker. Even if you didn’t purposely plagiarize, you want everything to be unique on your site. Responsive – Your site must be mobile right now. There is no time to wait until later. If your site is not mobile, Google is not going to keep listing it. Plus most people use mobile devices to interact with the net these days. Load Speeds – Having a website that loads slow is bad for you and bad for users and due to that, it’s bad for SEO. You can test your website speed here. You want it to be less than 10 seconds, if not about 3 seconds. Meaningful Page URLs – This goes back to using keywords in titles. You want the URL to say what’s on that page. Rather than saying page 1 or page 2, make sure it says “about your business” or “take a course” so that people and search engines know what will be on the page. Security – If you sell anything on your website, having secure HTTPS with an SSL certificate is important not just to people using the site but Google ranks secure sites higher than the others do. Ask your webhost for information about this. 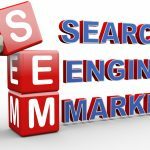 How your site is arranged and whether or not your audience can find what they want on your page is imperative for good SEO. 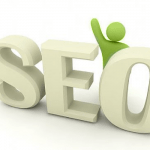 The other aspect of your on page SEO that you need to concern yourself with is all the HTML code. If you use a good builder like self-hosted WordPress this will be take care of for you for the most part, or it’ll be easy to do it. Titles with Keywords – All your titles for every page and blog post should include a keyword, say what’s on that page, and what’s in that blog post. This will help that page rank higher due to it being clear what’s on it. 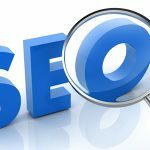 Meta Descriptions – Within the website, behind the scenes are meta codes. These bits of code tell search engines what’s inside. 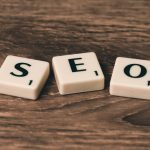 You’ll be given an opportunity to fill out the meta descriptions if you use a good plugin like Yoast SEO to help you. Don’t skip this as you create your website, it’s important. Is Your Navigation Well Structured? 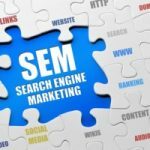 – Also, you want to be sure that your audience can take one look at your home page or landing page and know exactly what to do and how to get around your site. A great thing to do is create a “start here” guide to help them know what to do first and how to get around if your site is large. Using Headers – Headlines, subheads, and proper H1/H2 tags are super important to use not only for your audience, because it’s easier to read chunky content online, but for the search engines because these clues to the content on your site help them send the right audience. If you hire a web designer, ensure that they’ll help you with these things because they’re super important for your success. If you are doing it yourself, learn all you can, and use a great website builder like self-hosted WordPress. 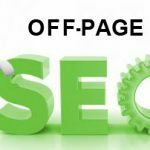 What other questions or comments do you have regarding on page SEO? Thank you for another great article Connie! Do you use or recommend the Yoast plugin for WordPress? If you do could you recommend any tutorials on how to optimize it?